Let those present here convey Ghadir Message to those who are absent, and let the father convey it to his son, and so until the Day of Judgment. "An excerpt from the Prophet's sermon on the Day of Ghadir." 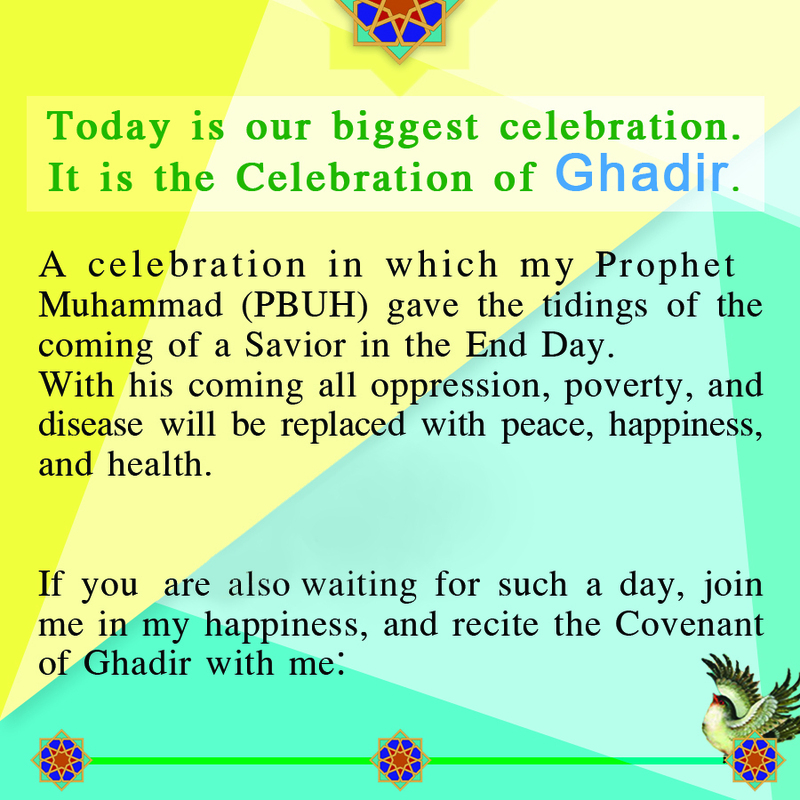 We have prepared a card presenting the Message of Ghadir for those friends that celebrate the Day of Ghadir in a non-Muslim country, so they can give it to non-Shias as a memory, or give it along with a flower. Happy the biggest Eid of Allah, "Eid al-Ghadir"